On this Mother’s Day, I would like to take the time to show gratitude for the things that I learned from you in the forty years I have been your daughter. I know we do not speak to each other however, I am still grateful for so many things. So today let’s put down the swords and just appreciate the fact that we are both mothers. We chose to bring children into the world and to show gratitude for each other and all of the other mothers who so bravely have taken on the role and responsibly of the mother. Let celebrate and uplift the moms of the world, the mothers who have lost their children, the people who have lost their moms, and the mothers who have alienated their children because of their own childhood pains, and the mothers who have been alienated from their children, because of their ex’s fear and pain, the mothers who embrace their children with unconditional love and support, and ALL the mothers who have done the best that they could. As moms we all make mistakes, we all say and do things we know we should not. Let us take today to let down our guards, let us embrace the beings we brought into the world, let us celebrate the beautiful beings of light we were chosen to guide. Let’s make this mothers day not a day of regret pain or judgment, but a day of true celebrations for everyone who has a mom is a mom, wants to be a mom, or has a mom living amongst the spirit world. Let us celebrate the world of moms who are doing their best, every day, to be the best mom they can be. So today, on this Mother’s Day, I would like to share with you some of the many things I have learned from my mom. Good, bad, or indifferent, these gifts are invaluable, because they are the skills and tools I have learned to survive and thrive in what can be a very difficult world. Mom, I am grateful for you and I admire your strength. You are stubborn, opinionated and refuse to move to the center, even when you know you should. This has taught me to stand up for myself, be who I am, and to not take no for an answer. Thank you! Mom, I am grateful and humbled by the fact, that when we had no money, you found a way, every year, to make Christmas and all the important holidays for kids, happen. I am grateful for the one Christmas when you and Dad came together with the entire family. You had everyone at your home, including all of dad’s family. I still dream about that Christmas; it was truly the most extraordinary and life changing, the holiday of my life. If we all, could strive to put our differences aside, and get a long, for the children, the impact that would have on the world would create global change. It is because of that experience, I work so diligently against the tides, to be sure that my children have this experience for their entire childhood. Thank you! Mom, I am grateful that you so diligently fight for the underdog, you volunteer for every cause you believe in; giving your time and heart to so many people. You have even chained yourself to a fence, in the 70’s, to protest for your beliefs. I may not agree with all that you believe, however, I admire your ability to stay true to your convictions and to give to so many people, unconditionally. From this I have learned to stand up for what I believe, to help people that are less fortunate than myself, and to teach my children the very same things. Thank you. Mom, although I do not agree with your tactics and reason for showing so much hatred towards my father, I understand your fear and the pain you have endured. I understand that so many things have happened to you, as a child, and until you heal those wounds, it is impossible to heal the adult’s wounds. Because of this experience, I have helped hundreds of families avoid this very painful. I have helped children find their own voices when their parents can’t seem to get out of their own pain. 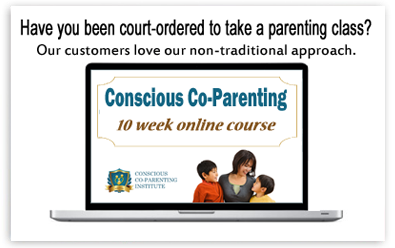 I have helped parents see where their fear and pain really stems, and I have helped them shift their consciousness so that they can love their children, unconditionally, and to really have a child-centered divorce. For this HUGE lesson, I have started a career. I am an advocate for children’s rights, for parallel parenting, and part of a movement to change the way the court system handles custody, and what truly is in the best interest of the children. For so many years, and even sometimes now, this gets me upset, however, it is this most painful lesson that I have healed and grown the most, so I am grateful. Mom, I love and adore you wild infectious laugh and your hilarious sense of humor. I was blessed with your radiant smile and your exact same laugh. (that sounds narcissistic) 🙂 I used to think this was a curse and what I know now is it truly is an extraordinary gift. I can be in a theater and the movie may not be that funny, however I find humor so often where others don’t, that I can have an entire theater laughing and saying things to me afterward like “I don’t think I would have laughed at all in this movie, however, I found myself laughing the entire time, because your laugh was so infections”…I would light up, knowing that I got that from you.☺ To know that one person can have that affect on so many people, what a gift. One of my favorite memories with you, was when we dropped the green chair off at the Goodwill, then went to get a drink at the near by Dairy Mart. We both panicked about the loss of the chair; and we went back to get it and we were laughing so hard about the comedy of someone arresting us for stealing this old nasty chair, that we dropped off…LOL, Seriously, I still laugh out loud about that memory. For this, I am so grateful. Mom, I have felt the pain of your rejection. The pain of wanting you to love me so badly, that I would have done anything. I wanted to be good enough. I wanted to be in your inner circle. I was a randy teenager, starved for your attention, I bolted across the country, after high school and we did not speak for a couple of years, I was sick so often growing up and still nothing. I went through a divorce, and instead of understanding, I was once again met with rejection. For my entire life, I could not figure this one out, until recently. I read an article about the narcissistic mother and it was like reading my life’s journey with you. I am grateful to have been the black sheep of the family. Much like your parents, rejected you, and your sister was the favored child. This made me strong, independent, gracious, and kind to others. This forced me out of the nest and into the world at a very young age. This forced me to be my own person. Although the pain was difficult, and still is at times, this has made me a better mother. This lesson has taught me about fairness, about loving unconditionally and to accept my children, and even the world’s children, for whom they are as individuals. I understand that through your own pain, you had to pick one child to get the short end of the stick, and I was the chosen one. If I look at it from that perspective, I can see that you chose me, because you knew that I was much like you and that no matter what I would survive and more importantly, I would thrive. That much like you, I could take a licking and keep on ticking. That our fiery Leo personalities, would clash and there could only be one leader in the den, and that was already you, so you pushed me out…I get it. This has been a hard lesson to learn, but I do get it. I have learned to let go, to forgive, to love unconditionally, and most importantly, I have learned that love, security, and self-esteem really come from within. I have learned to really love and accept myself and in doing this I have learned to love and accept others. This gift has made me a better coach, parent, wife, friend, and person. For this, I am eternally grateful. Mom, I believe that we choose our parents, that we choose our lessons, and that often times, our childhood experiences, make our life’s purpose and our work more rewarding. I am grateful that I have chosen you. I am grateful that you are strong, smart, independent, funny, opinionated, and liked by so many. I am grateful that you have shared your life with me, even at a distance. I really do look forward to the day, when we can let our guards down and just be with each other, no facades, no judgment, just two great Leo’s sharing our strengths, humor, and hearts with each other. Mom, please know that no matter what has happened or happens, I will never stop loving you and I know, that in your own way, you love me too. Someday maybe we can be doing this very important work together. Nothing would please me more. Really, what I can see is you helping so many moms who have been where you have been. I know you have the ability to help so many, I have seen it. With your mediation training and all of your skills, we could change the world together.☺ I would love to see you turn this corner with me. Only time will tell. Happy Mothers Day Mom! To all the moms, children and moms that have passed over, may this day be filled with gratitude for all. Happy Mother’s Day to all of my friends who have been like a mom to me through the years. You are all amazing and extraordinary women. For all of you, I am also grateful.